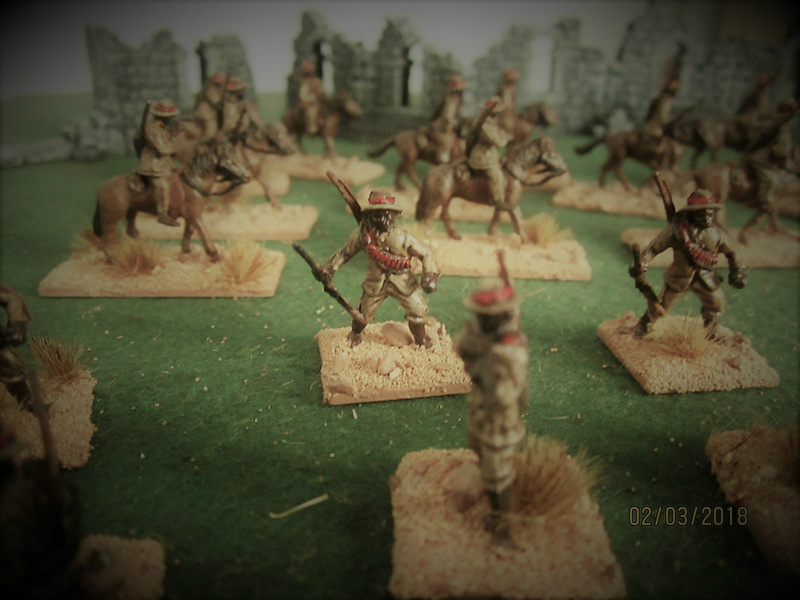 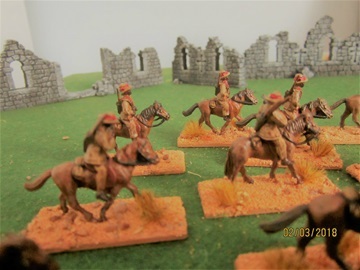 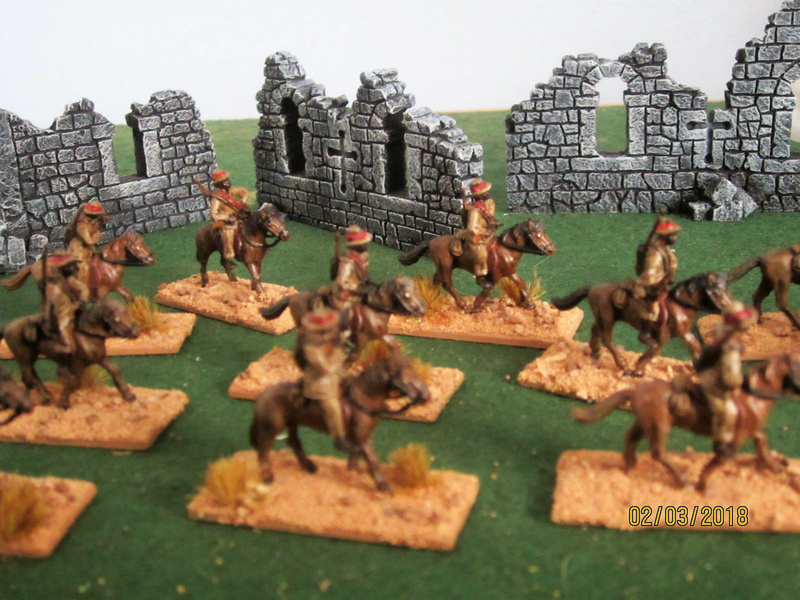 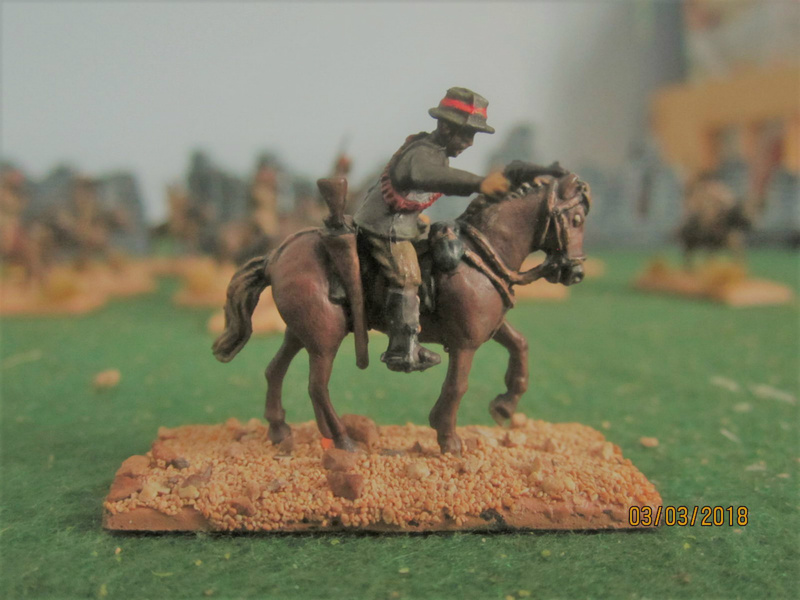 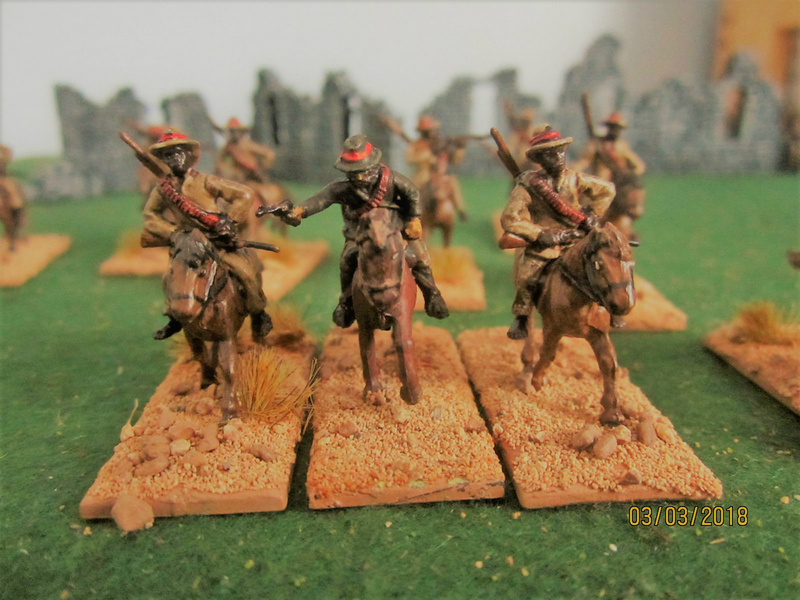 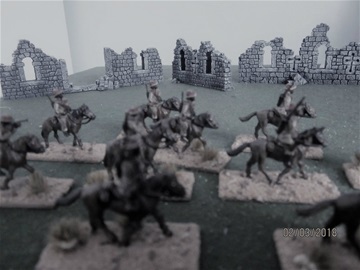 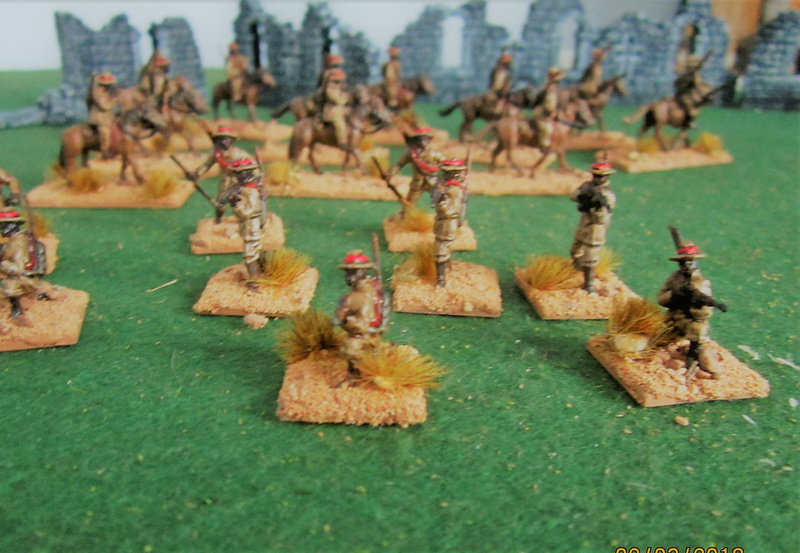 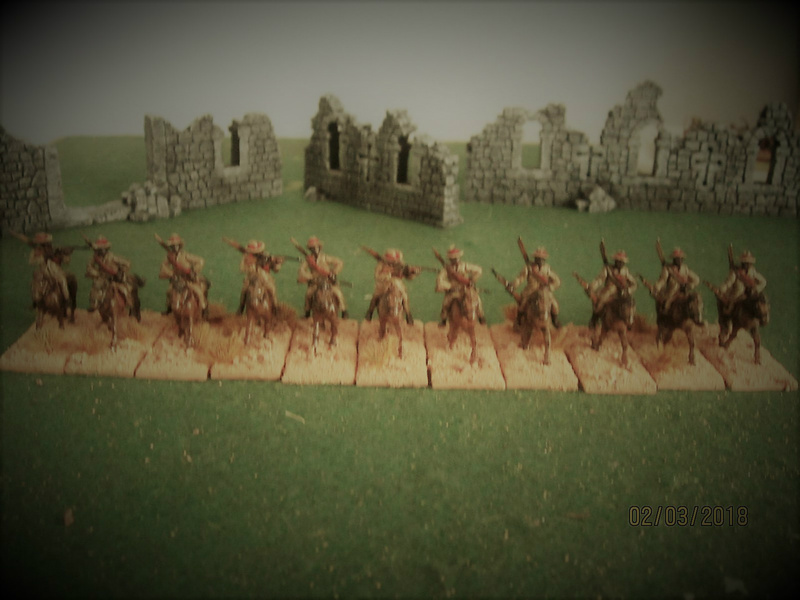 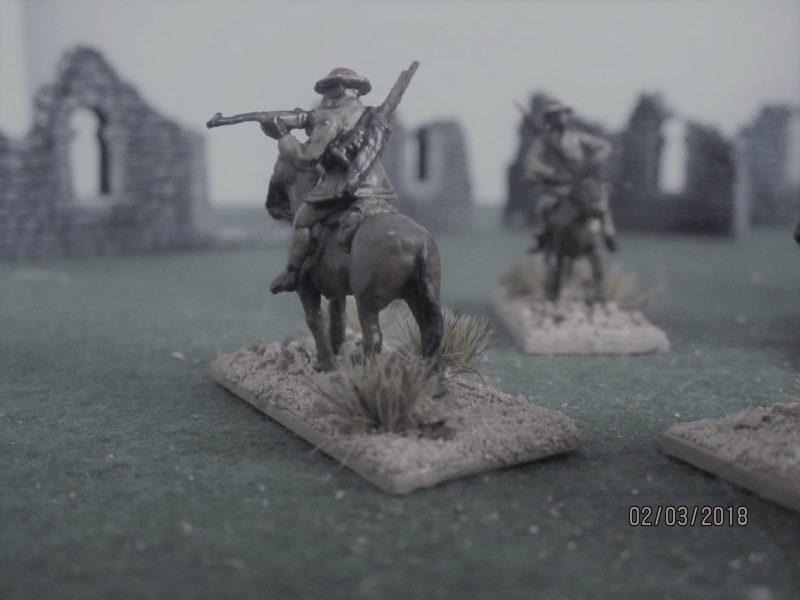 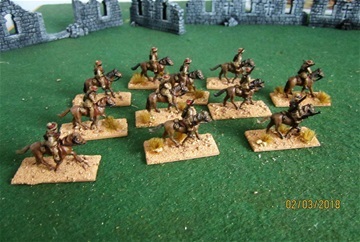 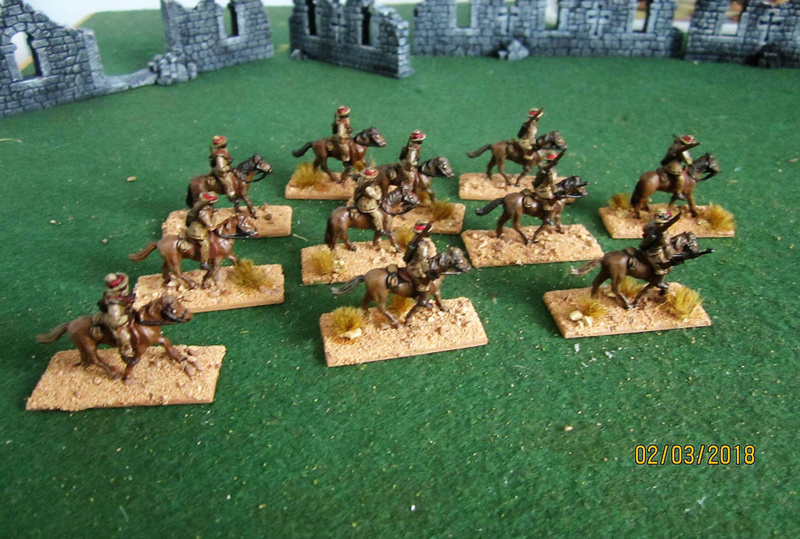 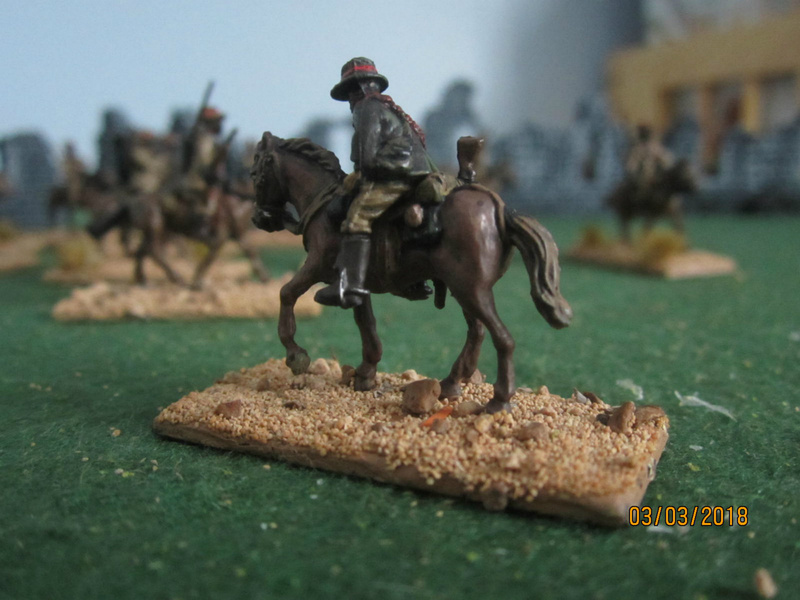 When the time came to invade Zululand in January 1879 the commander, Lord Chelmsford, had rather less regular British infantry than he would have liked and no regular cavalry at all. 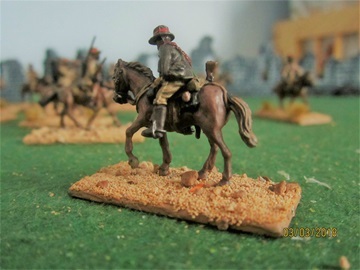 As a result numbers were made up by thousands of natives formed into the Natal Native Contingent, while many small units of mounted men were brought in to serve as cavalry or, at least, mounted infantry. 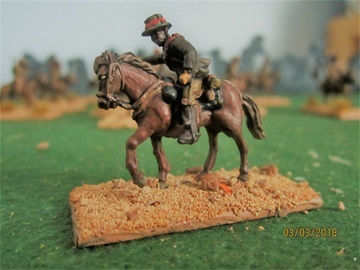 Once such unit was itself raised from the natives, and originally just called the Natal Native Mounted Contingent, but later became better known as the Natal Native Horse (NNH). 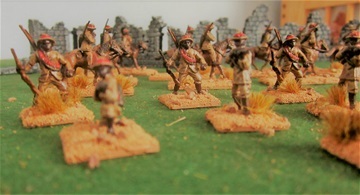 Raised from local tribes which mostly hated the Zulus with a passion, six troops totalling over 300 men were part of the first invasion, and the NNH saw service at Isandlwana and several other actions throughout the war, gaining a fine reputation in the process. 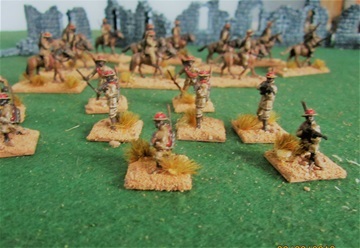 The NNH had been raised the previous year from several local tribes that had suffered at the hands of the Zulus as they expanded their empire. They provided their own mounts but were issued with a European-style uniform and a carbine. The uniform was a practical brimmed hat, a jacket (sometimes double-breasted), trousers and boots. 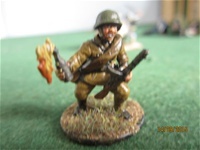 Some found it more comfortable to ignore some of these items - thus we find these figures with mostly bare feet and some without trousers. 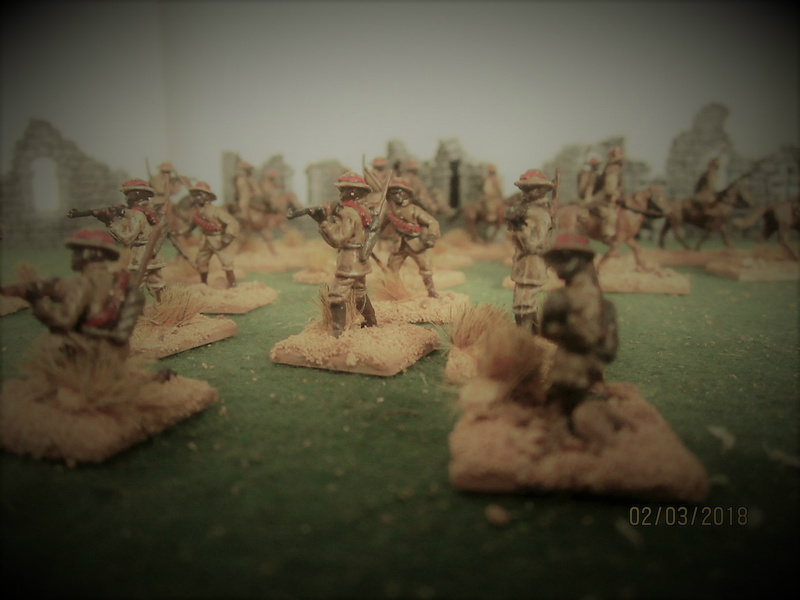 However the hat, with its red band, was a constant. The style of the jacket on these figures varies, and it did in reality, but they all wear a bandolier over the shoulder for their carbine. 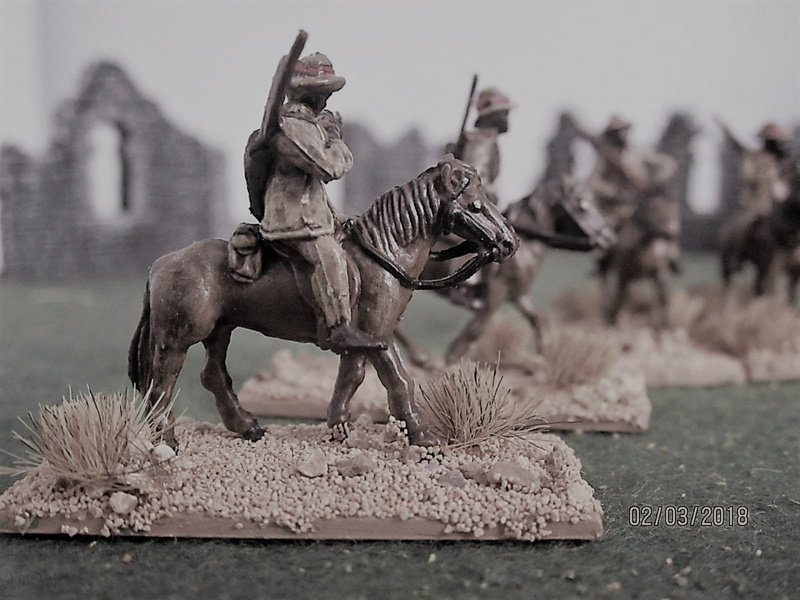 All the figures also have a hide bag slung on the back in which were held more traditional weapons - a feature that is correct but was not universal, as this was sometimes attached to the rear of the saddle rather than the man. 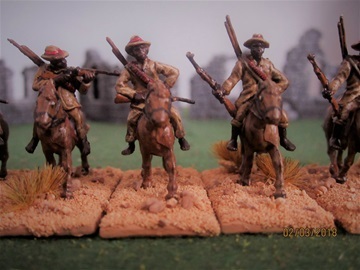 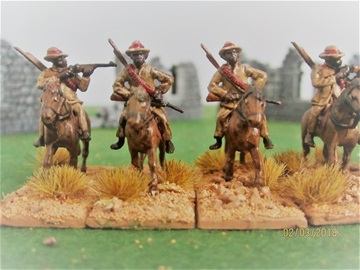 In the years after the Zulu War the NNH gained a more formal uniform, but for that conflict the costume on these figures is perfect, and doubtless converters will see many possibilities in these figures for other irregular mounted units. 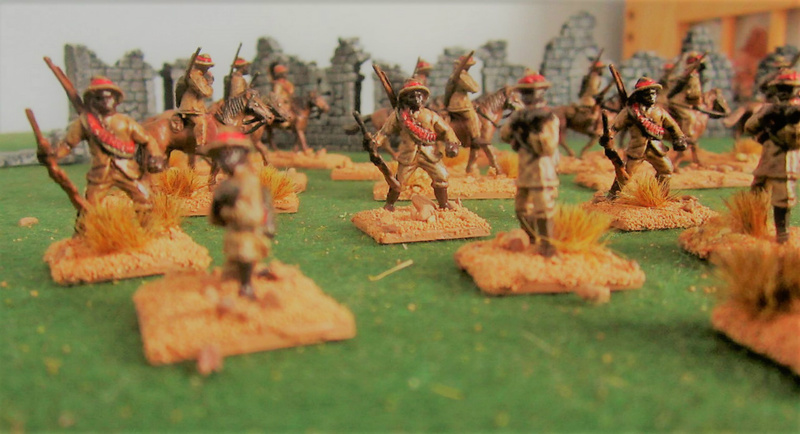 At last we have a set that helps dispel the myth that the Zulu War was nothing but British redcoats fighting almost naked tribesmen.